Daniel is a serial entrepreneur with a passion for all things tech. With over 11 years of experience in the Financial Services industry specifically wealth, investments and insurance. Daniel brings strength and skills that compliment the team and can offer our clients a unique perspective to assist in the capital raising endeavours. 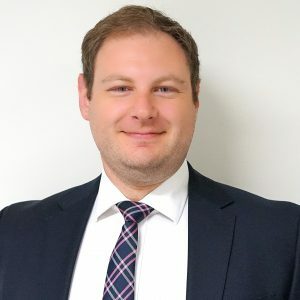 Daniel has been working with Wholesale Investor for over two years, during this time he has held the role of Senior Business Development Manager and has taken a leadership role to mentor the growing team. Daniel has an interest in Tech, Fintech, IoT, Edtech, Healthtech and Investments. He also is an avid sport “nut” and appreciates All America Sports and is still reliving the 2014 NRL Grand Final which saw his beloved South Sydney Rabbitohs break their 43-year drought. 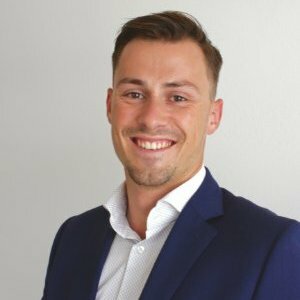 Lee has worked hard to establish a highly successful career and reputation in the Perth Market. Lee’s background was originally in sales, a career that has spanned a decade and provided him with the grounding for a career in Recruitment, which soon graduated to Corporate Finance and Investment Banking. Lee has a proven background in applying strategic thinking to complex and new business challenges and is a specialist marketing executive with experience in technology and communications. He has worked in both the United Kingdom and Australia. Aside from his professional side, Lee concentrates his spare time on continually increasing his knowledge of the changing trends within the many industries of the market. Lee has embarked on various courses to improve his abilities in corporate finance and effective communications. He is constantly striving to improve his personal and professional development. Lee has recently joined the Board of Directors for Classroom of Hope, an education nonprofit organisation partnering with local NGOs and communities to build schools, create child-friendly schools and distribute scholarships. Alexander has a strong passion for innovation and entrepreneurship having co-founded his own startup in 2012, CheckVault. Luka graduated with a Bachelor of Business and Commerce (m. Economics) from Swinburne University of Technology. Aside from his studies, he gained experience in database marketing, as well as sales during his involvement with a variety of multinational companies. Having followed his sporting passion, he gained experience of performing under pressure in professional sporting teams and has represented Australia on an international stage. Outside of work, Luka enjoys travelling and is fluent in four languages. 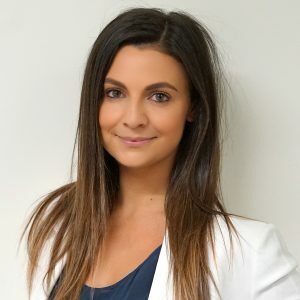 With over 5 years experience in a commercial environment in the technology, restaurant, and recruitment industry, Megan is a committed professional with an excellent track record in business development consistently demonstrating commercial awareness and emotional intelligence to build and maintain working relationships. Megan has completed a BA Honors in International Business Management. Vanessa is the Head of Brand and Events. She brings over a decade of experience in graphic design, event management, marketing and administration knowledge. Vanessa’s expertise in data management systems and project coordination make her an invaluable asset to the Wholesale Investor team. Her work is of the highest quality, which can be seen throughout the numerous events she continually organises for the company. Vanessa is open and ready to step up to any challenge when presented with it, as can be seen with our recent success on the Emergence Roadshow that journeyed across Singapore, Malaysia, Hong Kong and London, in addition to a China Investment Roadshow that toured four cities in the country. Outside of work you will find Vanessa dining out or travelling around the globe. Luana is a passionate individual with a professional approach to any task handed to her, she is detail oriented and delivers high-level service to all clients. Luana is great with people, communicates well and finds solutions to inevitable problems. Luana played a huge part in the success of our Emergence Roadshow that journeyed across Singapore, Malaysia, Hong Kong and London, in addition to a China Investment Roadshow that toured four cities in the country. She brings energy and fun into the office every day and is always readily available to lend a helping hand to any other team member. Luana has a passion for extreme sports, outside of work you will find Luana wakeboarding, snowboarding or surfing. Apart from this, expect to see Luana at any tech, future sustainability or social impact meetups – she is a serial networker. Matthew heads up the Marketing team at Wholesale Investor. Having cut his teeth in Digital Marketing and Strategy in Perth’s emerging innovation and startup scene, he has worked for the UK’s Department for International Trade and Foreign Office as a Media Officer at the time of Brexit and shares a refreshing insight into global trends in growth, marketing and business. Having studied Anthropology at the University of Western Australia, Matt has a unique perspective on marketing and global business which revolves around the power of human interaction, experience and transformation. Having recently completed a Bachelor of Business (m. Marketing and Management) at the University of Technology, Sydney, Madison implements the skills she has learnt at Wholesale Investor, making her an asset to the Marketing team. Madison enjoys working with emerging clients and supporting them to develop over their time with Wholesale Investor. Madison prides herself on her positive attitude, team collaboration and her love for a challenge in all aspects of life, especially in the workplace. With her Bronze Medallion and First Aid Certificate, on the weekend Madison will often be patrolling as a Lifesaver at Bronte Beach. She also loves going on adventures and hanging out with any dog she comes across. Ella has joined the Wholesale Investor team from the UK, having graduated from Nottingham Trent University with a Bachelor Degree in Journalism. Post studying, she gained experience in a variety of jobs such as working as a Social Media Coordinator within the TV & Film industry. Ella has gained skills in interviewing, producing content and social media marketing as well as working closely with award-winning UK television programmes. Ella prides herself on her dedication to learning new skills and can write 100 words per minute in Teeline Shorthand. Outside of work you will find Ella travelling and exploring new cities, sketching, and spending as much time at the beach as possible. With a background in Marketing and Public Relations, Isabella joined WI as their first dedicated Relationship Manager. In shaping the role, her strengths in creating and implementing structural processes came to the fore. She is now the manager of the RM team and the Project Manager for WI. Her passion lies in customer relations, sustainability, social impact and innovation. Isabella is an enthusiast for teamwork and constant learning shown in the number of sports teams she plays with weekly and her growing list of hobbies including, most recently, macrame. Charly has gained a wealth of experience in Relationship Management with a demonstrated history of working in capital markets and creative industries. She is a strong sales professional originally from London, with a BA Hons, focused in Graphic Communications from The University of Northampton. Charly is a charismatic and determined addition to the team and has shown her unparalleled ability to connect with clients to ensure their best possible experience with Wholesale Investor. Daniel has formal education in Networking and Security and years of experience managing the creation and implementation of SaaS solutions on cloud infrastructure, with a focus on apps that handle automated money flows. He loves investigating and understanding the operation of complex systems and has a natural instinct for dealing with anything technical in nature – in particular, acoustic engineering as a hobbyist.